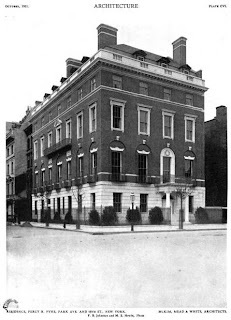 The Percy Rivington Pyne II residence designed by McKim, Mead & White c. 1909 at 680 Park Avenue and East 68th Street in New York City. 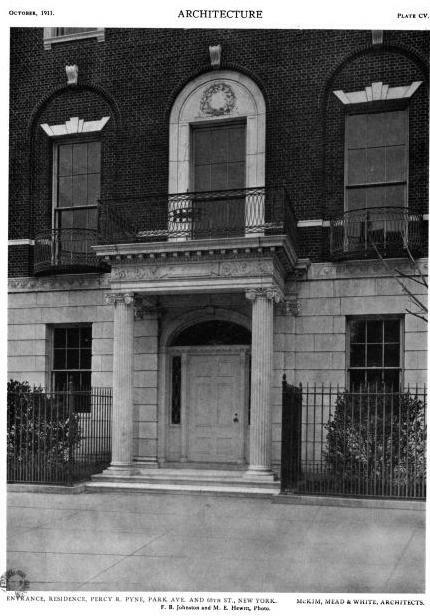 Click HERE to see Pyne's country residence 'Upton Pyne' in New Jersey. 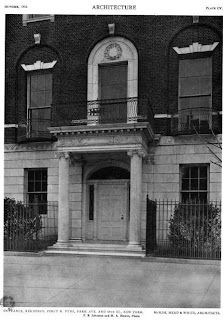 Today 680 Park Avenue is home to the Americas Society. Click HERE to see the Pyne residence on google street view. So, Zach is this Percy Pyne Rivington II, or is it Percy Rivington Pyne II? 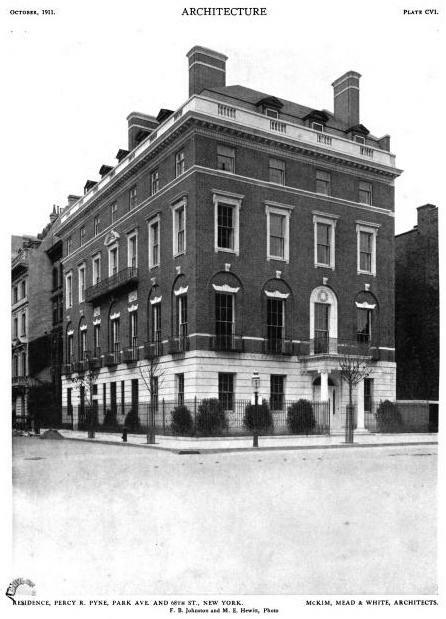 So, the many Percy Rivington Pyne II's aside, I've always found this such a handsome house. I was able to get this one on camera thankfully. Thank God this one was saved from demolition, along with its neighbors.